DHADING, Aug 21: Rajendra Pyakurel of Galchhi Rural Municipality-4 dreamed of earning a lot of money and get rid of poverty forever. To materialize this dream, he planned to go abroad and working hard. He thought hard work would certainly pay off. Leaving his small family behind, Pyakurel left his home for Malaysia in 2014. It cost him Rs 400,000, which he had arranged with a great difficulty. No sooner had he landed in the country than he realized that his agents had fooled him. Nothing was as per the agreement. Instead of the promised job, he got to work at a godown. Last year, he returned home. “I had to carry goods on my back to their destination. That was not something agents had told me I would be doing there,” said Pyakurel. “I was promised an easier job, packing stuffs in restaurant,” he added. Later Pyakurel learned that he was not the single Nepali in Malaysia to recount such a story. Many told him that foreign employment agents don’t reveal the real nature of the job that they are being employed for. “My employment agreement paper stated that I was supposed to something, but in reality, I was doing something entirely different. And that is how it goes for many Nepalis in Malaysia,” he noted. “I had gone to the country with a big dream of earning enough money and make my parents and siblings happy. But my luck was not so good,” he added. Pyakurel is the eldest son in the family and his siblings are too young to work and earn. The family lives in a small hut in Bharaude area of the municipality. Even after working for three years, he could not save much. There were no other bright prospects. Finally, he decided to return home last year. “I was in a dilemma. I had gone to Malaysia by taking a lot of loan. I did not earn enough to pay off the loan, let alone save,” he lamented. After returning home, he tried doing some business. However, that has also not given him success either. “I could not invest much. Without investing, it is hardly possible to make big of any business. I did not fare well in businesses I started,” he said. Pyakurel is now once again thinking of going back. “Maybe, I will have better luck this time,” he says. “Even here, I am not doing anything significant. The burden of fulfilling the needs of the entire family is upon me. If I don’t work and earn well, they will all suffer,” he reasoned. According to Pyakurel, he cannot do anything worthy in the country that could earn to fulfill even the basic needs of his family. He says he has hunted for jobs but has not found jobs that suit to his expertise and needs. His low education level and lack of skills leaves little choice for him. However, he has seen his village friends send money home from abroad. “Maybe I would be also sending money home like my friends do. Maybe I will get a better agent and a better job this time. So, I thought of giving it another go!” he said. Cases of fraud, like the one Pyakurel faced, are common in towns and villages here. Still, there are many who want to try their luck second or third time. Yet, there are those who have declared that they would never go back seeking job overseas. Ambateka Rishweswor Wasti of Nilkantha Municipality-14, is among one of them. He worked in Singapore for three years and for another three years in Dubai. His six years of foreign stay did not give him any pleasant experience. ‘Life was always tough’. “I didn’t have a good job either in Singapore or in Dubai,” narrates Wasti. “I could not earn much. All my salary would be spent in meeting my living costs,” he said. Wasti states that opting for foreign employment, when you are not a professional, is a bad choice to make. ‘No matter how much you sweat, you cannot make money’, he believes. “If you have patience and will, working in your own country is far better. In foreign country, nobody cares even if you die, but a huge number of our brothers and sisters are working there,” he lamented. 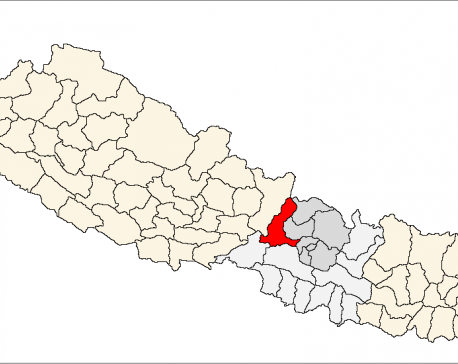 Nir Bahadur Gurung of Nilkantha Municipality – 2, is also a foreign country returnee. He is also of the opinion that it is better to work in your own country. “I worked very hard in Qatar for a few years. But could not bring home a penny when I returned,” he reported. “Now, I want to work here at home,” he added. There were 25 Nepalis in his group when he left for Qatar. As far as he knows, many of them came back and some went for the second time. 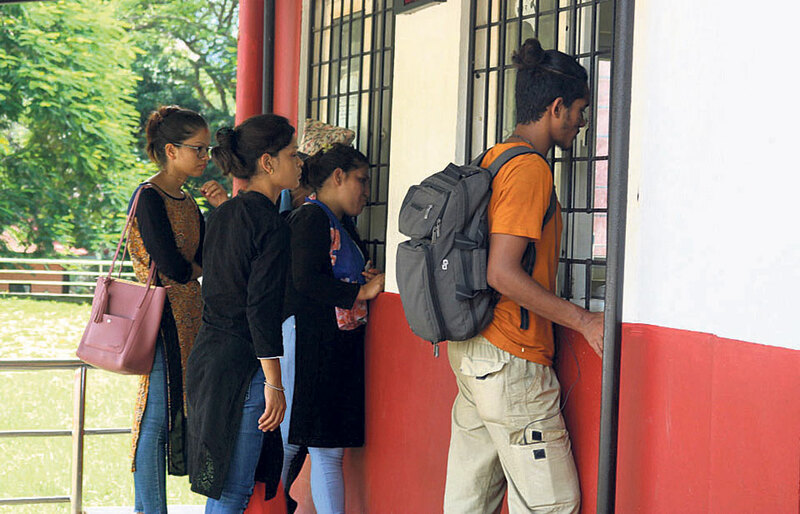 Irrespective of working conditions in foreign countries, the size of the crowd seeking passports at the District Administration Office has been increasing every day. 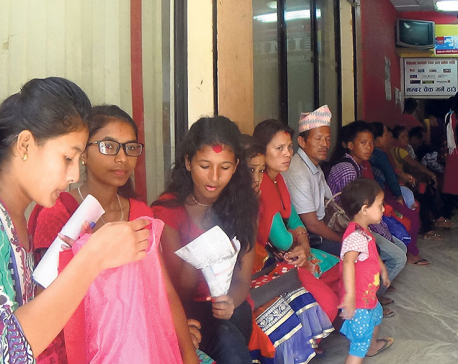 According to Assistant Chief District Officer of Dhading, Dholakraj Dhakal, the numbers of applicants seeking passport has been rising constantly. Last year, 7,591 people in the district made passports.